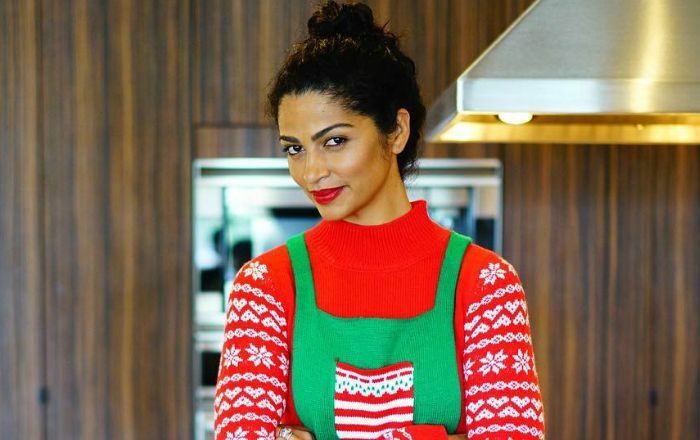 Brazilian model Camila Alves who is best known for hosting the third season of the Bravo network reality television series Shear Genius. She also co-hosted the first season of the Food Network competition show, Kids BBQ Championship, along with Eddie Jackson. Her Muxo line of handbags is popular among the American audience. Camila Alves was born on 28 January 1982, in Itambacuri, Minas Gerais, Brazil. Camila Alves married actor Matthew McConaughey on June 9, 2012, in Austin, Texas. Together, they have three children, a son, Levi Alves McConaughey (born July 7, 2008), a daughter, Vida Alves McConaughey (born January 3, 2010), and son Livingston Alves McConaughey (born December 28, 2012). She was not cast in any film till date. Camila made her television appearance in the Ready to Wear – Spring/Summer 2008 fashion show. Alves did numerous advertising campaigns for Billabong, Chopard, Christian Dior cosmetics, Datelli, Harley-Davidson, Levi’s, Mango, Neiman Marcus, Pinko, Shell, and Target. Camila has an estimated net worth of $5 million US dollars as of 2018. However, the combined net worth of Aves and her husband Matthew McConaughey is $100 million dollars. She was raised in Brazil until she was 15 and later moved to Los Angeles where she lived with her aunt. At age 19, she moved to New York City to try her hand in modeling and apparently she became a high-profile fashion model. She has been featured on the covers of various magazines like Brazil’s Homem Vogue (2009), Greece’s Elle (2006), Spain’s Yo Dona (2009), US’s DC Modern Luxury Magazine and others. In August 2015, she acquired her US citizenship. In January 2016, Alves launched a lifestyle website, Women of Today, where she shares everything about her and also writes blog posts on food, family, health, fashion, beauty, and crafts. She co-founded the organic frozen baby food company called Yummy Spoonfuls, which launched its product line for babies and toddlers in Target’s frozen food section in 2016.